Remarketing can be done in two ways. Sometimes companies complain that they get clicks and traffic to their website with campaigns but they are not turning into enough sales. Yes, that happens. Not everyone is ready to buy at his or her first visit. But we are sure that they at least showed an interest. Remarketing, just like retargeting in social media management, is a powerful and cost-effective method to drive leads and conversions from PPC Campaigns. When a user visits your website and checks some products and services, we can bring them back to complete their journey, hopefully with a payment. Researches proof that remarketing increases the conversion by more than 35%. Standard remarketing: When a user visits your website, your banners and animations will be shown at other websites, magazines, newspapers etc. through Google Display Network. Dynamic remarketing: When the user visits your website, your banners and animations will be displayed on the other websites through Google Display Network. This is a one step ahead remarketing because it allows you to command a tailor made ad appearing after checking out a product. Video remarketing: It is mostly prepared for YouTube. Your ads are exposed to people who have interacted with your videos or YouTube channel as they use YouTube and brows Display Network videos, websites and apps. Bear in mind that remarketing increases conversion rate by 35%. Different products and services have diverse life cycles. Remarketing campaigns should keep this in mind. Similarly, if long duration goods are already sold to a client, you should not show the same product but you should focus on its accessories. Just like Google Display Network and Google AdWords, Social Media also powers your campaign with Remarketing and Retargeting options. Remember that remarketing increases Conversion Rates by %35. People can be retargeted based on visiting information, their locations, whether or not they have seen your ads before. To discover more please read our Google Display Network approach. Digizoom is here for creating professional and the most efficient remarketing campaigns. If you are willing to go for this option, fill in the form below to get started! 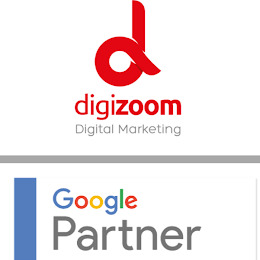 All Digizoom experts are Google certified, flexible and efficient. Our results are highly measurable. We can create your campaigns in any language.